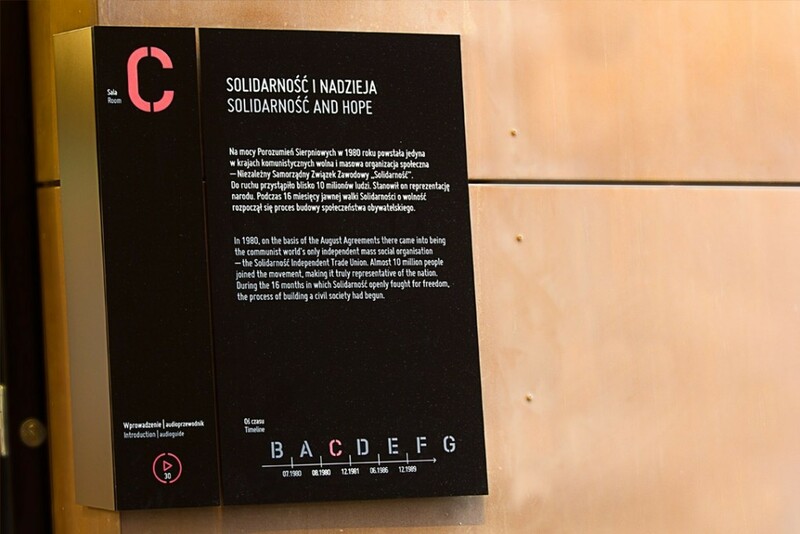 A design of the visual orientation system on the premises of European Centre of Solidarity. A modular system was to fulfil two purposes. 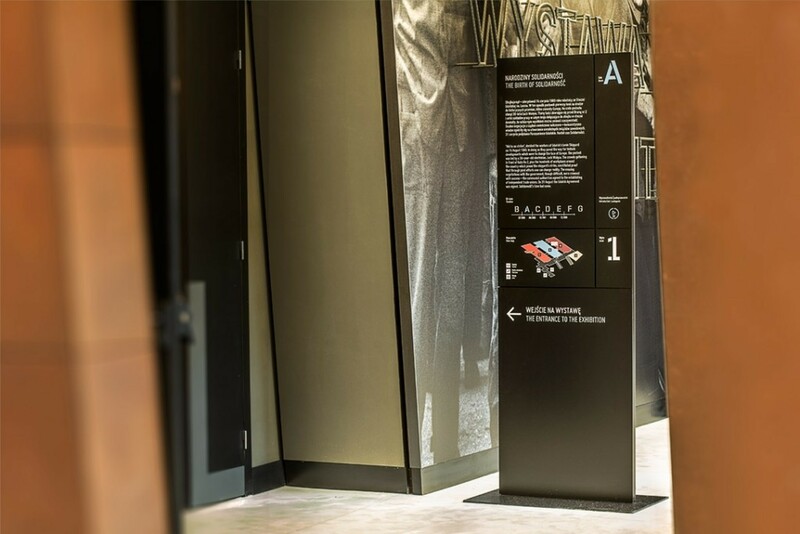 The first was to provide signage with information about the exhibition halls and their content. 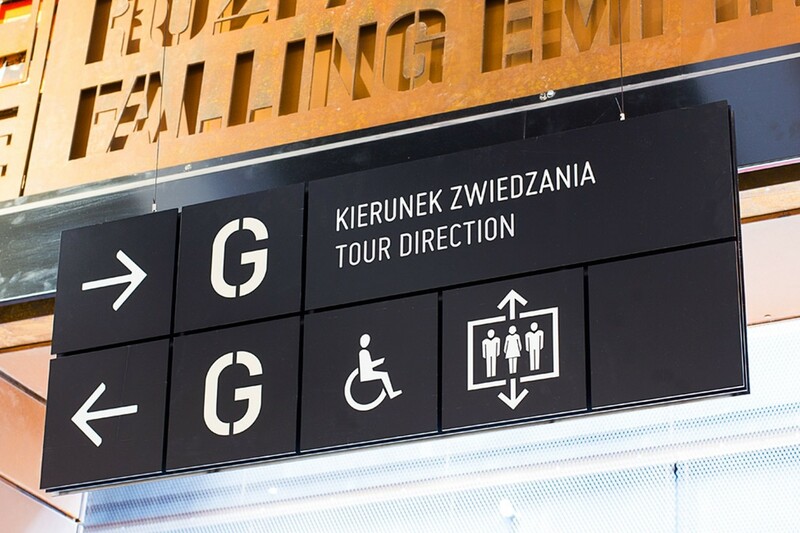 The second - to label the remaining rooms and circulation areas on the Centre's premises. It was also essential to take into account the unique geometry of the building, whose walls are inclined at 6.5 degree, which required additional solutions concerning particular elements of the system.